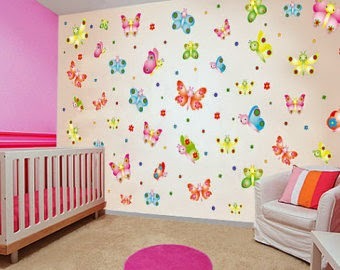 Home »Unlabelled » Kids butterfly wall. Kids room wall with flying butterflies, flowers, stars, etc. brings an instant smile, brightness and colors to kids room as well as to the kids face. Fabricate their small little innocent world full colors, brightness, instant chic and charm around. Pasting of butterfly, flower, stars, cartoons etc. 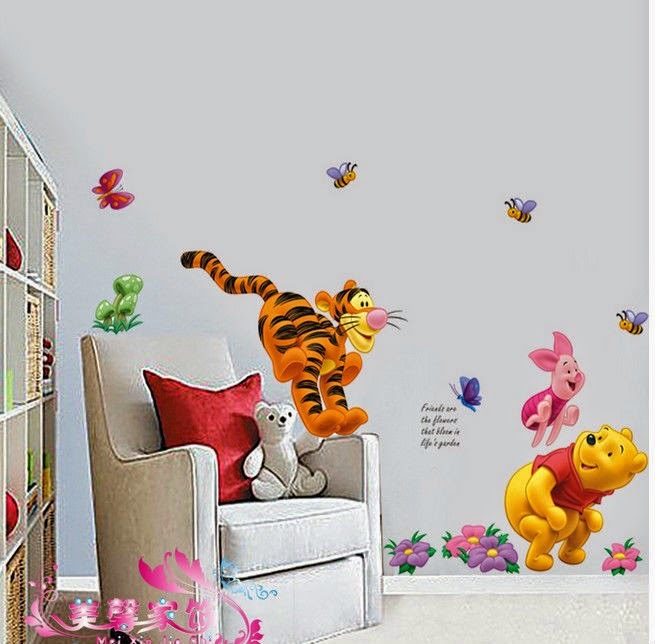 wall papers, stickers, paints etc. are always a useful tool to put in the missing charm of the room. They are easy and instant to use. They can be used even to glow up teenagers room, infant room, child care rooms etc. 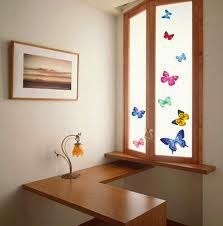 They work very well if pasted and installed in kids play rooms, study room. 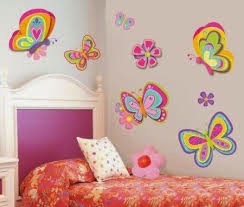 Kids love to interact with such colorful walls and its gives them a feel of childish comfort forever. 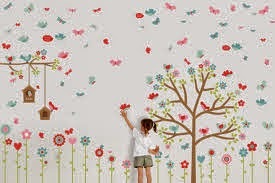 You may change the wall stickers or such wallpapers say after every six months or a year. It gives full fledged flexibility to bring in instant change whenever required according to the kids changing tastes, age, habits, etc. You may add up such glowing, wonderful stickers at the study desk of your teenage child to provide him/her a stress free and colorful zone for studies. They work very well when child needs a break from their stressful work of study. Try them out at the ceilings, bed headboard wall or any side wall. They work equally well by spreading charm and brightness to your child's life. 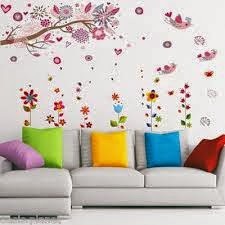 If you're bored with the same living room wall design or home study design then for a change of few months you may try these colorful stickers to living room walls as well. They have an inherent quality to mix up well with every age group and people. 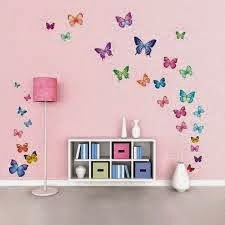 Bright up your kids world as well as you may glam up your own home office or working area, bedroom walls, living room walls with little implementation of such beautiful and wonderful stickers. Let each corner of your child's world get brighten up, get well mixed with their sweet innocent childhood and give them a wonderful phase to cherish all life..!